See more objects with the color darkolivegreen dimgrey rosybrown silver rosybrown or see all the colors for this object. This is a Textile. It was company: F. Schumacher & Co.. It is dated 1960–70 and we acquired it in 1979. 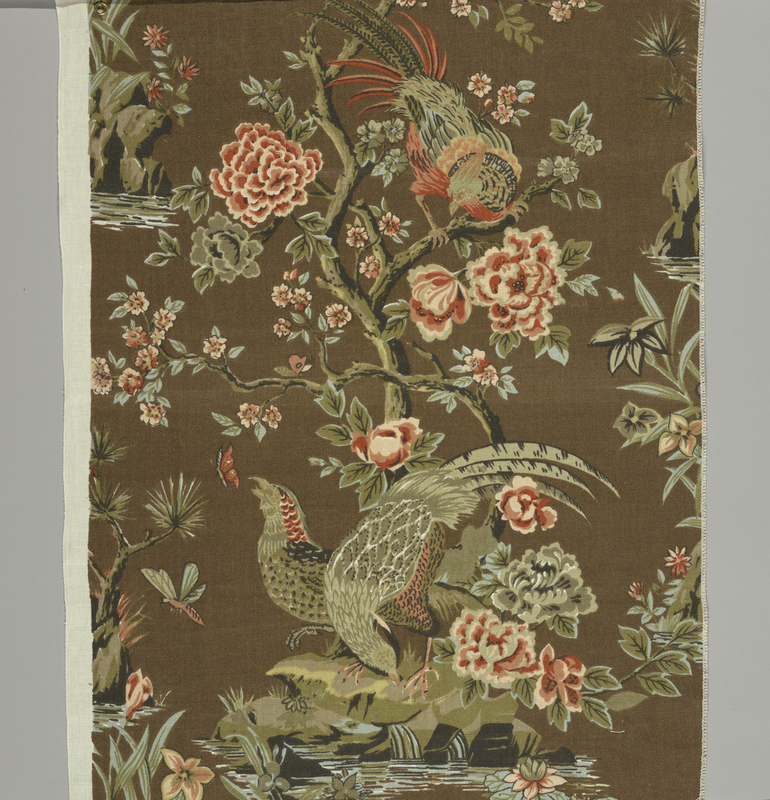 Its medium is linen and its technique is screen printed on plain weave foundation. It is a part of the Textiles department. It is credited Gift of Mrs. R. Curt Hasenclever. on attached label: Current reproduction on 50" ENGLISH LINEN SCREEN PRINTED (reduced in scale to accomodate narrower width).